Red Velvet has undergone a sharp a musical transition in the past year, from the critically lauded ‘Bad Boy’ to the summery ‘Power Up’ to experimental ‘RBB’. In between this change in musical direction, they made their Japanese debut last year with ‘Cookie Jar’. Although the group promoted frequently in Japan over the last year, they did not release another single. That is until the surprise release of ‘Sappy’ which left many questioning SM’s plans for the group. Just as sudden and out of place as the announcement was, the melody in this song takes twists and turns that don’t always make sense. Still, it manages to retain a bit of that signature Red Velvet quirkiness. Red Velvet has never shied away from releasing quirky songs that don’t always make sense on first listen. Over time, these tracks became better, thriving off of their weird structure and melody. ‘Sappy’ is a call back to these tracks, paying homage to their very experimental ‘Red’ side all the while presenting something new to the table. It’s cute in the way that ‘Russian Roulette’ was, but it’s funky musical base resembles ‘Rookie’ and ‘Cookie Jar’. I am in love with the verses. Each member gets to shine and the backing track is popping yet not overwhelming. The vocals are also very clear, which points to the production team’s ability to create such a quirky and experimental beat without drowning everything else out. The vocal line really shines here but I was most surprised by Joy, whose clarity did not (for once) take second seat to Seulgi and Wendy. She held her own here, even managing to score part of the chorus for her self. The girls’ different vocal tones are also distinguishable, and they each compliment the song in a unique way. I was pleased to see Seulgi taking on a deeper and huskier tone while Irene’s voice was softer and sweeter. Yeri’s rap verse was also really good, which speaks to her massive improvement over the past couple of years. I have a problem with the chorus. It is almost forgettable. “Sappy sappy cutie cutie” is catchy enough, but it needs to be backed up by a strong melody and the jumpy instrumental does not help. The lines after also come on abruptly and they do not flow well together. It also feels as if the chorus is cut short. This is such a pity because the verses are stellar and they needed to be supported by an equally incredible chorus. This feels like a theme in Red Velvet’s past releases. Hollow choruses bog down really strong verses. The chorus is the biggest problem I have with this track. Had it been a little stronger, I would have liked this song a lot more. The music video is absolute perfection. It’s vibrant, sweet, and matches the theme well. Over the past two years, Red Velvet’s ‘Red’ music videos have been a huge disappointment, especially when contrasted against the more carefully crafted ‘Velvet’ songs. Sappy may not have an overall theme, but it’s a great watch and, most importantly, does not lack in replay value. I love the contrasting colors, and the fact that it doesn’t feel like someone’s tumblr blog. The colors flow very well together, from the set pieces in the background to the girl’s clothes. This is one of their best videos in recent years, and is much better than “Cookie Jar’s”. ‘Sappy’ has a lot of good things going for it but I am unable to properly appreciate the song due to it’s confusing instrumental. The melody isn’t quite there and it does not help that the chorus is not as catchy as one would hope. Recently, SM has released tracks that are experimental yet memorable and catchy. I like that they made this track experimental but there is something to be said about SM’s recent musical direction, or lack thereof. It almost feels like they are not sure where they want Red Velvet to be. Each decision from “Power Up’s” release up until “Sappy” has been bizarre and dumbfounding. I do hope that SM will get back to the drawing table and rethink what they are doing to this amazing group. 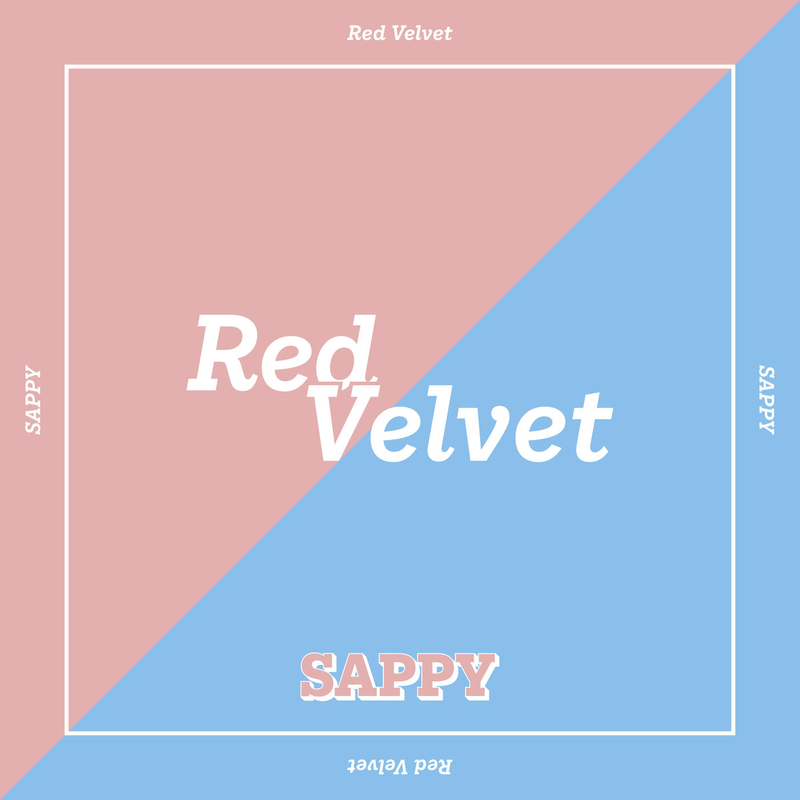 'Sappy' could have been one of Red Velvet's best singles, but is appears that the producers were more concerned with experimentation than coming up with an actually decent song. A pity, since this has the makings of a pop-masterpiece. The vocals are wonderful! I am glad that SM is giving the girls room to shine vocally. Their 'Red' songs have been lacking in that but this is progress! The styling is their best yet! Surprisingly, Yeri's rap verse was the highlight. It was actually too short.